Given Thursday’s conditions at the Australian Golf Club in Sydney, Jordan Spieth wasn’t expecting much in the first round of the Australian Open. 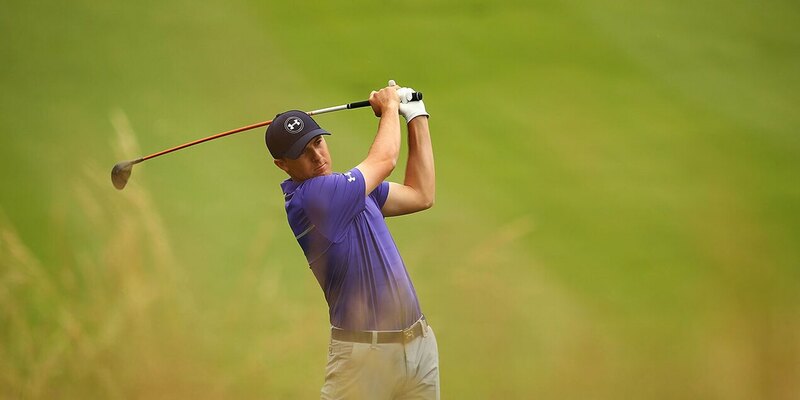 Spieth posted 4-under 67 to take a one-shot lead after the first round. He is ahead of Australians Scott Gardiner and Aron Price, who each shot 68 on Thursday. There was no shortage of attention on Spieth in the first round thanks to a pairing with Adam Scott. The Aussie struggled – he put his first tee shot in the woods and took a double-bogey on the opening hole – and fell to 82nd after a first-round 74. He will need to play well on Friday just to make the cut. “When you know he is having a bad day, a great champion like he is, to see how positive he remains on each shot,” Spieth said.